In betwixt cleaning the snow and ice off Betty and finding that two tires were in four inches of nine degree water, therefore in need of air, I ventured off into conspiracy theory world. Watch out. The primary issue I have with conspiracy folks is that they feel they have to use the shocking headline to get their point across (Boycott the Super Bowl!). It's really no secret that things happen in this world that are larger then us. The issue should be; to what extent. Answer that question and you'll find yourself thinking to your self that you are crazy. Of course there are more powerful groups that stand to gain a great deal if things go their way. But to try and untie who these people are is much more complex. Some will say Masonic groups others will point to the Federal Reserve Bank and it's leaders. Many think that is just the plain old United States Government. What to I think? Well, it's a combination of all those. What!? you may say. Do I actually believe that there is a group out there herding us a certain direction? Insane! Maybe. It would be if I thought it was just one or two groups pulling the strings, but I do not. I really just boils down to whose got the money, honey. Does the Federal Reserve gots the money? Yep. Are they a private company? yep. Do they want us sheepeople to suffer? nope. They want what is best for them. They do have a level of power to steer the country in a direction that is in the best interest to them. If that means steering the market a certain way to suit whatever it is they want then they will. That is evident in that it wasn't manufacturing and goods producing companies that got bail out money. It was large banks. GM got some of that money, but it was only a drop in the bucket compared to what AIG or Citigroup got. Follow the money is what I've always been told. With all the bailout money that was handed out ask yourself... where did it go? Who is in control now? It really matters not now. 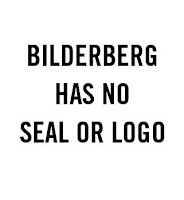 Maybe it is Bilderberg, who knows. It doesn't change where I am at now. Nor will it ever. The only fact that remains, when your mind goes to that strange and crazy place of "Who are they", it doesn't ever answer itself.